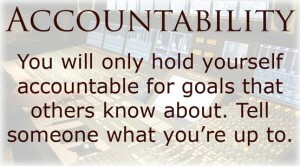 Accountability Archives - KB Concepts P.R. Humans are social animals. We are all designed to interact with one another on a regular basis in a variety of ways. 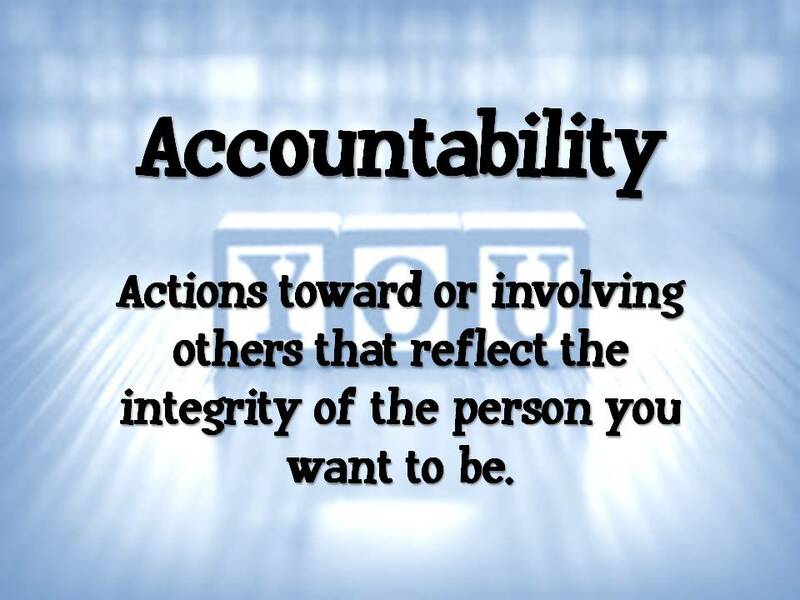 Accountability groups – also called Mastermind Groups when made up of business owners – make use of this inherent nature by forming organizations of peers who agree to work together on certain tasks, over the course of a set schedule. For a busy entrepreneur, this can be the push most of us need to actually devote the time required to grow our businesses and reach our goals. Accountability groups don’t have to be work related, and can help people quit smoking, eat healthier, accomplish certain athletic goals, or be more productive in their daily lives. What these groups have in common is that they set publicly displayed goals, and make an inherent promise to accomplish those tasks along with everyone else. With 50 others, I’m currently in the final stretch of the 4-week BbG Winter Total Wellness Challenge. You earn points each day for making healthful food choices and exercising, along with weekly lifestyle challenges such as getting seven hours of sleep, meditating daily, or doing special acts of kindness for others. You also get a point for posting a daily reflection about your experience, and reading these funny and inspirational comments by fellow participants has become a favorite part of my day. As founder of Arlington Women Entrepreneurs (AWE), I am excited to announce that we will offer and support the development of accountability groups for our 75+ member business owners this year. We will help groups find the right mix of people, develop a plan, and work together on a consistent basis to support one another’s 2015 goals. 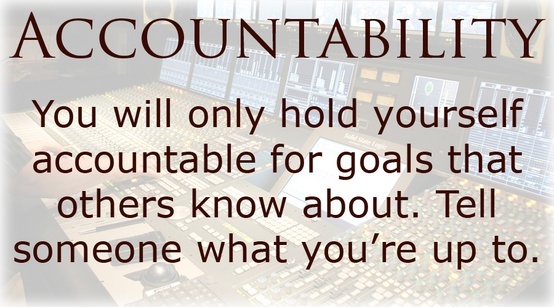 The size of an accountability group can vary, although it’s generally recommended to have at least four people involved so others can pick up the slack if any one member starts to lose focus. With more than six or eight members, the group risks becoming impersonal, making it difficult to form important relationships that reinforce your goals. Whatever the size, try to keep it consistent so that the community you’re developing grows stronger over time. 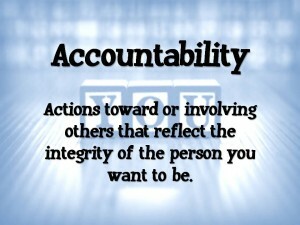 Of course, a vital part of a successful accountability group will be the actual people involved. Generally you want members who have similar goals, as well as drive, enthusiasm and consistency. You want to avoid people who will bring the group down, introducing negativity into the process. Individuals capable of sticking to a goal and accomplishing it can drive the power dynamic of the entire structure. Having a group leader or moderator is helpful, providing focus and encouragement over time. The leader is also responsible to the entire group, an inherent incentive to get everyone working smoothly and successfully. Generally there is no penalty associated with failing to accomplish a task set by the group, or yourself, in a given amount of time. Rather it’s that everyone in the group knows that you didn’t meet your goal, which reinforces successive efforts to avoid that kind of negative social attention. Are you surprised this works? The fact is social pressure to succeed is one of the primal driving factors in our psychological makeup. The Winter Wellness Challenge has helped me focus on my personal health and mindfulness with the support of like-minded peers. Joining a Mastermind Group will help me and fellow entrepreneurs finally focus some much-needed attention on our own business development, setting and meeting specific, measurable goals. This is something all business owners strive for but rarely achieve on our own, mainly because we’re too busy serving the needs of our clients. And this is one area where going solo is not the path to greater success.